Even with indulgent onboard temptations, cruising can be good for you! 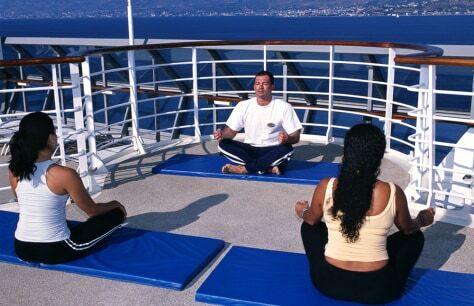 Passengers take part in a yoga class aboard a Celebrity Cruise Lines ship. In the latest of trends in the industry, ships are offering specialized activities and classes for every possible interest.